Ah the quest to find the gym with the best childcare in the city. This happens to every young parent that quickly realizes their current gym does not offer childcare or offers a “walk in closet hang out with a stranger” kind of childcare. The gym with the best childcare does not currently exist but we’re building it right now. It is called Brush Park Gymnasium. This is Chicago’s family gym. Now you might be saying but my gym does have childcare and it’s fine. There’s a slide and I like to use the elliptical. No, that is not good enough. You deserve better and so do your children. Why are gyms barely meeting childcare needs and not offering a space for kids to be active? Why can’t fitness be for the entire family? That is exactly what Brush Park Gymnasium wants to change. Too many gyms here in Chicago force parents to choose between high quality childcare and fitness options for themselves. How many gyms have you belonged to that don’t even offer childcare? On the other hand, gyms that do offer quality childcare and classes for children frequently offer poor exercise options for grown ups. Walking into a large box gym with a bunch of free standing cardio and strength equipment is an old outdated model. There are professional strength and conditioning trainers that run excellent group fitness classes. 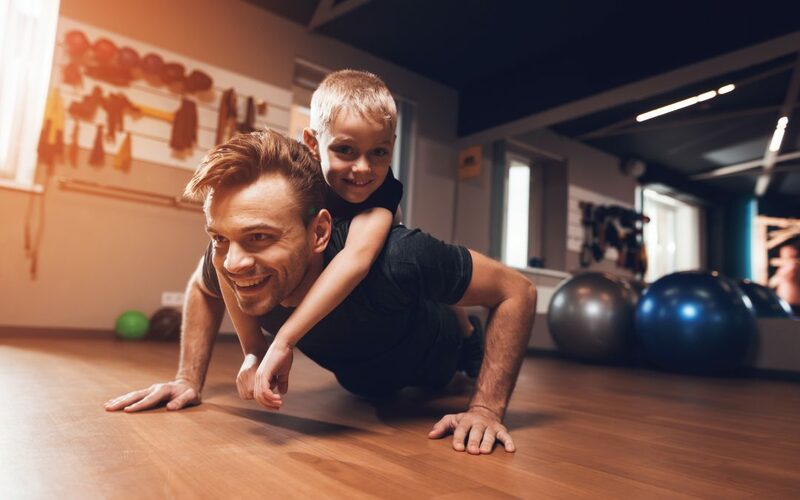 The trouble is finding those qualified individuals who tend to work at niche fitness studios that most people are intimated to work out at and often don’t offer childcare. At Brush Park, we are literally designing a gym that will meet both of your needs and we won’t just stop there. Fitness options for both you and your child should be met with high quality programming. At Brush Park Gymnasium we are designing classes for you to exercise with your child. No you will not be managing your child while getting a less than stellar workout. Oh and no way will we ask you to workout with your stroller? What is that? Our founder, Adrienne Farrell, was a teacher and coach at a junior high school for almost a decade. She has the skills to design the most engaging and challenging fitness classes for you and your child. On days that you want to exercise without your child in tow you should check out our engaging childcare for walkers & crawlers, our indoor play space for children to explore and our reading nook for children to chill out after a long day. We hope that Brush Park is one of the easiest places for you to take your family because every design choice has been guided to meet your family’s needs. As we continue to search for the perfect location please contact us with any suggestions that will help us during this designing process. We are excited to welcome you into our gym.